Citizens of Vietnam, Greece and Philippines like Russia most of all, but the list of those who regard it as a threat is quite broader. According to the Pew Researches Center poll, more than 30% of the world's population regard the Russian Federation as a security risk to their countries, Deutsche Welle informs. The results of the poll of the American Pew Research Center, published on Wednesday, August 16, show that only roughly a quarter of respondents (26%) trust the President of the Russian Federation Vladimir Putin in his policy in the international arena. 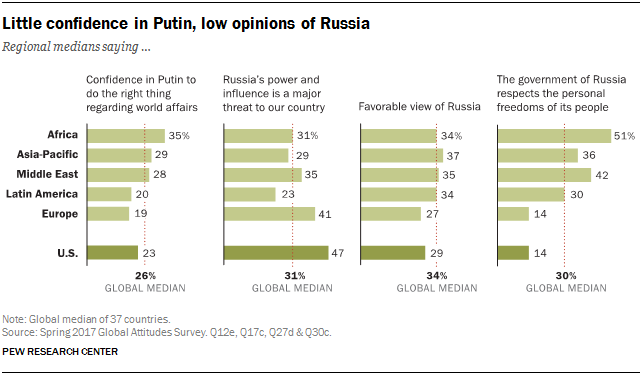 On average, 31% of respondents regard Russia as a serious threat to their country. To compare: About 31% of respondents adhere to the same opinion concerning China, and 35% concerning the United States. 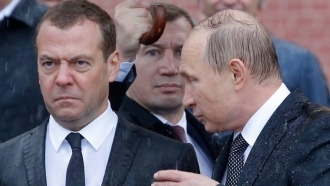 A critical attitude towards Russia is especially widespread in the US and Europe, while the population of the Asia-Pacific region, the Middle East, sub-Saharan Africa and Latin America have a wider range of opinions. Only in three countries of the 37 surveyed, the majority of residents express a favorable opinion of Russia: in Vietnam (83%), Greece (64%) and Philippines (55%). The study was conducted in 37 countries outside of Russia from February 16 to May 8, 2017, with the participation of almost 41,000 respondents. 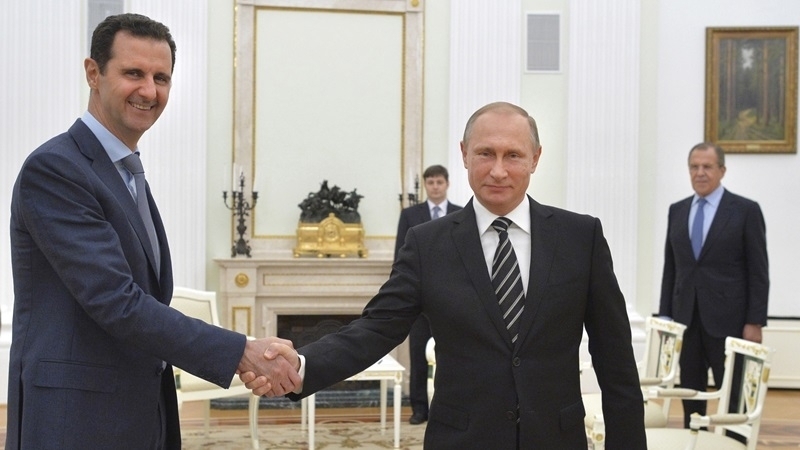 Earlier, the Russian President requested the State Duma for permission to deploy rockets on the border of Ukraine with Belarus.